"Sean is amazing. His team is amazing. Sean is so knowledgeable in this field. We couldn't have had a better realtor, we appreciate his work ethic and his personality. He made our house buying process so easy, and fun! 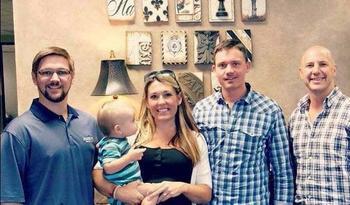 We will use him for all of our house buying and selling needs as long as we are in Dallas." "Scott was VERY patient and informative. As a first time buyer, I didn't know anything about the process. He answered all of my questions in a timely matter." "Sean was the only one who could get this deal done. He was perfectly aggressive in getting us the house we wanted. Patient and persistent." "We were absolutely pleased with Sean's assistance during this home buying process. Sean's professionalism and skilled negotiations, helped us to obtain the best deal possible, including additional funds at closing to cover the costs of some significant repairs. We would have no hesitation whatsoever in recommending Sean and the Parsons Realty Team to our friends co-workers, or anyone else in need of some "top-notch" realty services." "Sean was awesome, he was very patient with us and walked us through the entire process in person. He was very communicative and easily reachable by phone and email at all times of the day. Sean was very knowledgeable about the market, homes and areas we looked at and he and his team offered superb service throughout. Would definitely recommend Sean to others." "Sean was outstanding in our search for a home! There's no way we could have asked for a better Realtor! He was incredibly honest, insightful, and patient!! He got us our first home, and we couldn't be more grateful! The experience of home buying with Sean is second to none!" "When we were looking for the impossible, Sean came through. Sold our home the same week we put it up and found and won another. Sean is a hard, diligent partner and will be straight forward and honest with you so that you are best informed in your decision(s). In a market like we are in, it's imperative to have someone of Sean's caliber on your side." "Sean is an awesome Real Estate Agent! He makes things happen." "Sean helped us find a home for our growing family over the summer and we couldn't have been more happy with our experience. Sean was extremely professional, quick to respond, and provided a seamless process from start to finish. He's got some great technology to help find your home before everyone else! I would definitely recommend Sean if you're looking for a realtor that is dependable and trustworthy." "Sean is great at what he does and knows the business. He is a closer and I look forward to working with him on my next deal. I would recommend him to anyone! A+"
"Sean is a great agent to work with! I worked with Sean to help us find a home to rent in 2010. He was the only agent to return my call (July 4th weekend) and then proceeded to give up his holiday weekend to help me find a house since I was traveling from out of town. When it came time to buy recently, Sean carefully planned and prepared for our time together which I really appreciated since I couldn't take much time off from work. 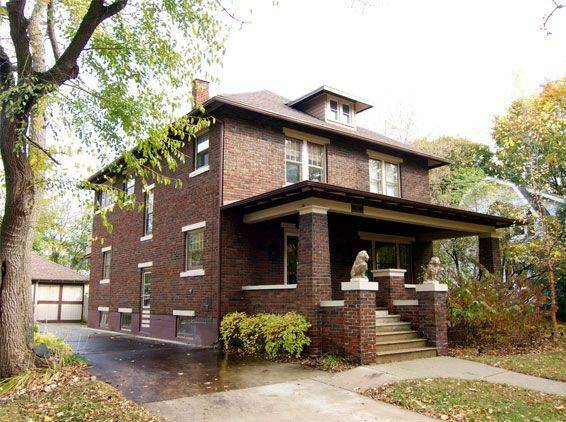 He was always available, patient and knowledgeable about the neighborhood, style of home, and general market trends. He is a true professional, utilized the latest technology and deeply cared about helping us negotiate the best deal which included scheduling multiple service appointments (most of which he attended because we couldn't) during the option period. The very best thing I can say about Sean is that I genuinely missed working with him after we purchased our home. We are not first time home buyers, so we've been around the merry go round before. I highly recommend Sean as an agent- he's honest, works really hard and takes pride in delivering a quality experience." "I've known Sean on a personal level for several years and I just recently had the pleasure of using his services to buy my first home. Sean's ability to effectively communicate is unparalleled. I'd consider myself a hyper-communicator and Sean exceeded my expectations in this category. I also had a few false starts and change of direction that never threw Sean off guard. Sean listened attentively, provided recommendations, and then followed through on the next steps. He professionally honed in on what I was wanting to achieve and never lost focus. Lastly, his desire, motivation and timeliness were the contributing factors that made me a happy home owner." 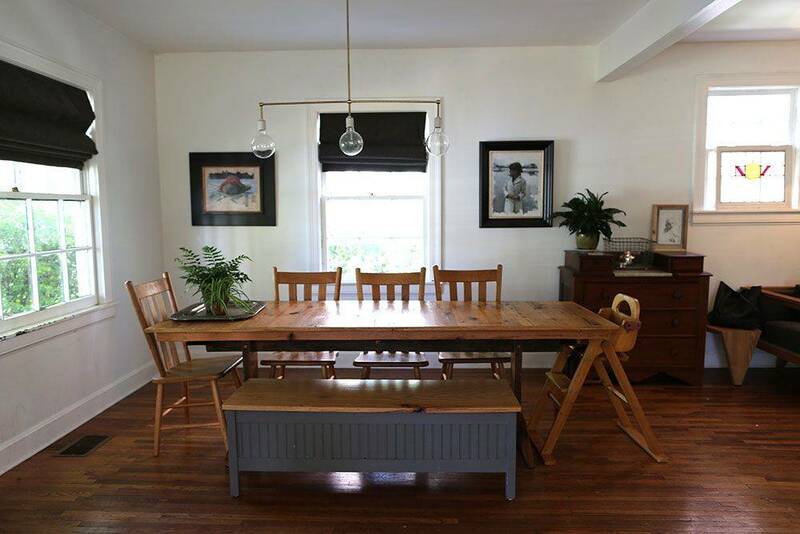 "Sean was an unbelievable resource in getting us into our rental home. He was patient and helped us narrow our search down after many, many home searches. His willingness to get us into our perfect place was easy to see when Sean would stay out with us for hours looking at different properties and traveling all over the DFW metroplex to appease our willingness to "just be sure" we found "the one". Also, Sean has a fantastic website where he was able to customize searches for the specific criteria we selected. It was the greatest thing to sit and mess with! Thank you for ALL your help, Sean. We are so happy to have found our new home, all thanks to you!" "Sean was incredibly helpful in helping my wife and me find a home to lease. It is obvious that he is passionate about what he does and that translates to fast and very quality service. I've dealt with a number of realtors in the past and Sean seemed to really care about finding us what we were looking for and not just something that would benefit him. I would highly recommend him to anyone looking to buy, sell or rent a home." "It was obvious that he is very experienced, knowledgeable, and professional. He always made us feel as if we were his top priority (even though I assume he had other clients and other responsibilities). He kept all promises and deadlines. A pleasure to work with Sean." "I would highly recommend working with Sean Parsons as your Realtor®! Sean is both an expert negotiator and extremely responsive and pro-active! Sean is a very skilled negotiator. 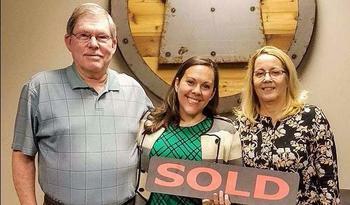 We were very pleased with the final price and contract that we settled on for our home. 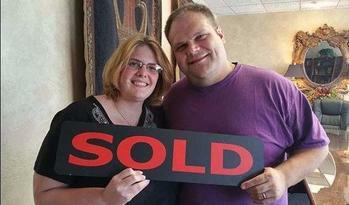 Our mortgage broker told us that we got the best deal off of list price he had seen all year." "Sean was excellent In negotiating and helping walk me through the home buying process." "Sean was absolutely wonderful to work with. He is very knowledgeable about the market and the real estate industry. Throughout the entire process, I felt like he had our best interest at heart. Every member of the team that I worked with was a true pleasure- Katie, Scott, Jana, and Jack. Everyone was great and went above and beyond! 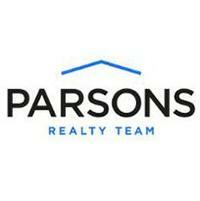 I will definitely be recommending Parsons Realty Team!" "Scott was quick to understand my requirements and provided valid options. He engaged continuously and provided guidance at appropriate decision points. He made the process clear and uncomplicated. Most of all, Scott was easy to talk to." "Scott was an outstanding Realtor who was there for us when we needed him. A hard worker, knowledgeable, and courteous. We recommend him with two thumbs up!" "Scott is the greatest real estate agent in the world. Not only is he delightfully personable and an absolute pleasure to work and communicate with, but he is knowledgeable and made the entire process as a first-time home buyer as easy, smooth and stress-free as possible. He took care of the offers, counter offers and all the other legal stuff that we were clueless about and educated us a great deal on the crazy world of real estate. He was amazingly flexible, meeting us on weekends and odd hours of the day, and responding to our relentless texts. I cannot recommend him enough. He was the shining light in an unavoidably stressful experience, he put all of our worries at ease, and we can't wait to work with him again in the future if we decide to invest in more real estate." "I cannot begin to tell you what a uniquely talented and skillful agent you will find in Sean Parsons. I have worked with other "top agents" in the past, and although nice people NONE of them found SO MANY ways to add value to our transaction, and provided ninja-like creativity in negotiating a deal that did wonders for our family. The type of home he secured for the price, I wouldn't believe had he not been there at closing and handed me the keys. Oh yea, and he is the friendliest person I have ever met! You will not find better support from an real estate professional ANYWHERE!" "Sean followed through on a difficult house to market, sell and close. Literally one of the most difficult transactions most people in the process had seen!" "Sean was incredible. I enjoyed getting to know him through the home buying process. He was polite, gracious, and quick to answer any questions I had along the way. I would highly recommend him to anyone looking for a new home. He goes over and above to serve his clients." "Scott Griffis was a great agent. He exceeded my expectations and was a pleasure to work with. He and his team did a great job making my ! I would recommend him to any of my friends and family." "Thanks to Sean and Katie, we were able to complete this short-suspense and potentially stressful purchase, in due time and efficiently. Their relentless and focused attention to detail made a big difference, especially when we were negotiating from a distant location from the DFW area. We were also very impressed with the use of modern technology and processes applied." "Sean Parsons was very informative, professional, friendly, and very knowledgeable!" "Sean and his team were very knowledgeable, professional, and were very clearly committed to making our buying experience the best it could be. It was apparent that they knew the value of working hard for their client, and Sean’s incredible attention to detail was the real difference maker in us getting the house we wanted." "Sean has worked so hard for us and has dealt with all of our chaos very professionally. He is 2 for 2 with us buying homes! We have loved working with him!" "Words fail as to how blessed we were to work with Scott. He was always there, always available, always positive and always encouraging when things seemed to have issue. Without his expertise in this market and without his willingness to be on the lookout for what's best for his clients we would not have found the perfect house." "Sean and his team were very helpful, available, & friendly. He was great about listening to our needs & concerns. I would highly recommend him to others." "Scott was awesome, very professional, and determined to find what me and my husband wanted." "My husband and I have bought and sold 4 houses, and Scott Griffis is the best agent we've ever worked with. He's thorough, follows through, listens, and is just so incredibly nice. We relied heavily on his guidance and market knowledge. We are very happy with our new home." "This is my first home purchase and Jana was very gracious and patient with me through the whole process. This purchase was unique in that the location caused the appraisal to come in much lower than we expected. This created some last minute negotiations while I was out of the country and Jana did a great job of communicating to me and actually getting us the best deal. I saved about 5.7% off the original offer price due to the low appraisal and negotiations."